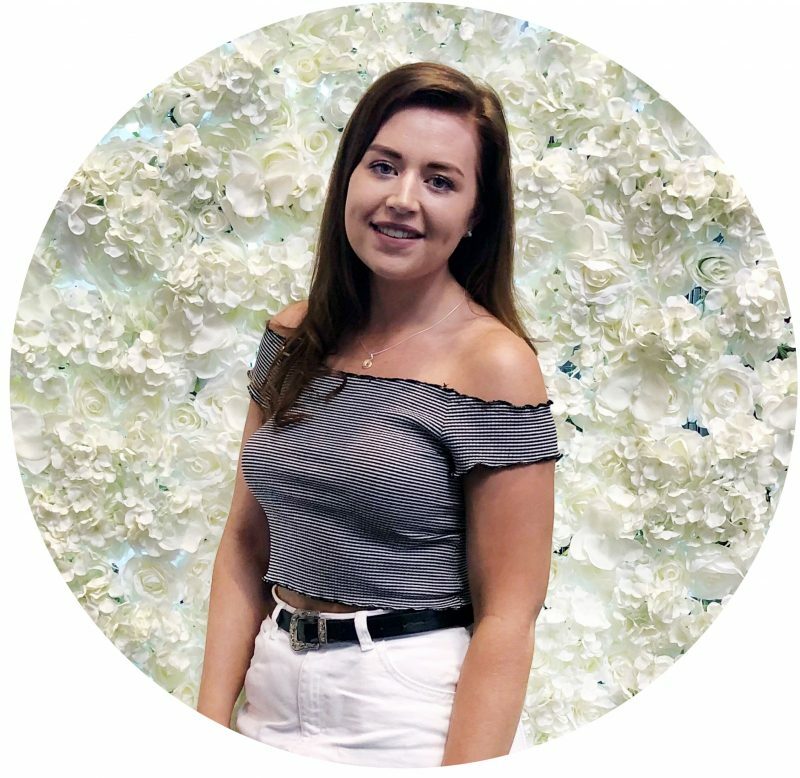 If you’ve read of my posts recently, especially my more lifestyle kinda posts then you’ll know that i’ve been trying to spend more time switching off of an evening and dedicating some time reading (she say’s whilst typing this post at 8.30pm on a Tuesday evening). With that being said, a lot of the books i’ve been reading all follow a similar theme and I thought what not better than sharing some thoughts on some reads i’d highly recommend trying out! It’s safe to say that I am not a reading kind of gal, as I seem to instantly gravitate towards easy reads with a reality style approach or a more tips/self help kind of books, which you know each to their own and as I approach the dreaded age of 25 it’s become very apparent that i’m all about getting my life in order (or at least from the books i’ve recently been reading). One book that I have been absolutely raving about these past few months, of which I already mentioned in my recent post and that is of course Gracie Francesca or Grace F Victory (however you know her by) book No Filter (£10.49) which I kind of ordered on a whim as I didn’t expect it to be a read i’d love or get into but I just couldn’t put this down. Essentially this book is a tell all book about her life up until this point now and everything she has through in life from being raised pretty much by her mother, to her eating disorders and so much more, and I related to her on so many levels in this book but I also learnt a lot about things i’ve never gone through and it completely opened my eyes up to how different everyones childhood/past can be. The main message that i’ve taken away from this book, is learning how to love yourself and understanding you are enough as you are without thinking you have to change the way you act or your appearance just to please other people. It’s also amazing to see the journey she has gone on, and out of all of the bloggers that have released a book it’s definitely a read I would highly recommend! Another book of which i’m probably half way through but one that I already would recommend to anyone is The Life Changing Magic of Not Giving A F*ck (£9.09) and let me tell you this book does exactly that! I love a book that is just straight up and real, and this book is just that and it’s exactly what i’ve needed recently. I’m definitely one of those people that cares way too much about what other people think and I often beat myself up about what someones opinion may be of me and this book has really helped me think ‘you know what, f*ck what everyone thinks’ and it’s the boost that i’ve needed! Definite must read if you’re similar to me, or your feeling a bit stressed as it instantly just changes your entire mind set. 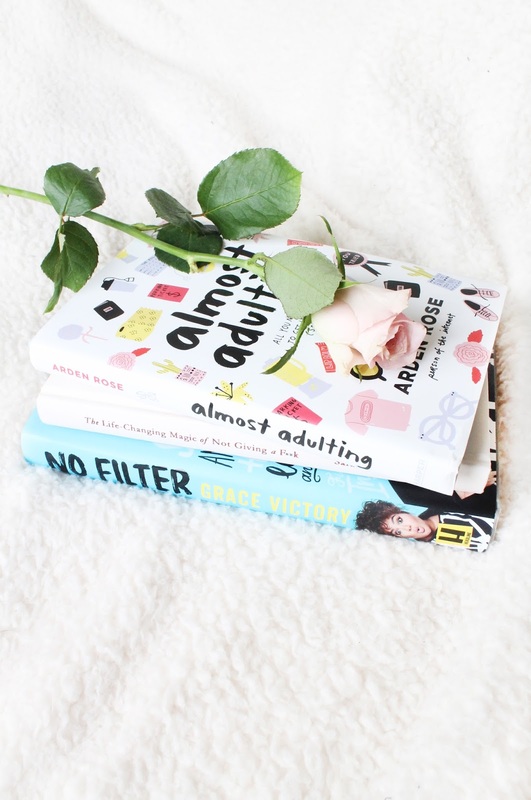 Finally we have Arden Rose’s book Almost Adulting (£7.69) which as the name suggests is a book all about adulting, or trying to adult at least. I’m sure i’m not alone in saying that at 24 I thought i’d have grasped this adult life but let’s face it, I don’t think I ever will (lol). I decided to order this book purely on the basis that it is labelled ‘all you need to know to get it together (sort of)’ of which I could really do some help with and again this book just helps you open your mind, and actually understand how exactly we all somehow survive in this big world, but one step at a time. She covers all sorts of topics from friends to relationships and how to actually communicate with people face to face, and not just through a phone. Again if you’re like me and love a good self help but easy read, and could do with a bit of a kick up the bum then this is a definite read you could do with.